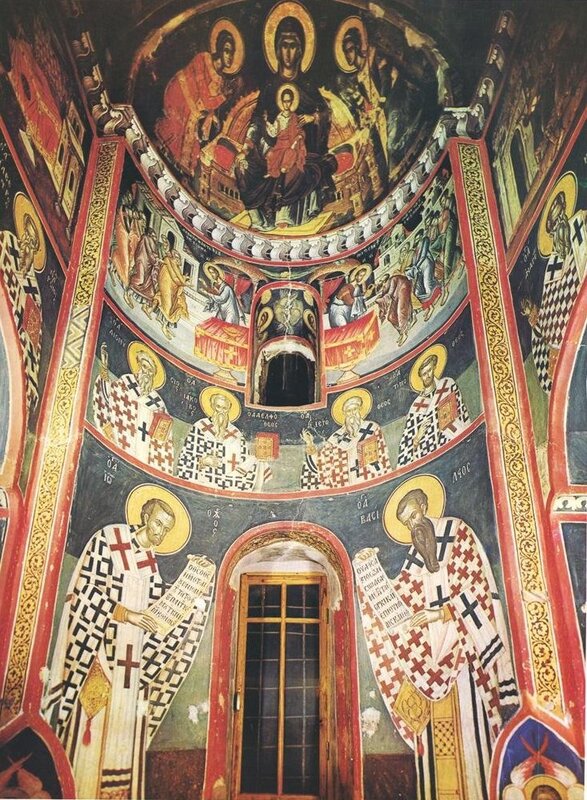 Home / LITURGICAL ARTICLES & THEOLOGY / Iconography / EASTERN ICONOGRAPHY: A LITURGICAL ART? 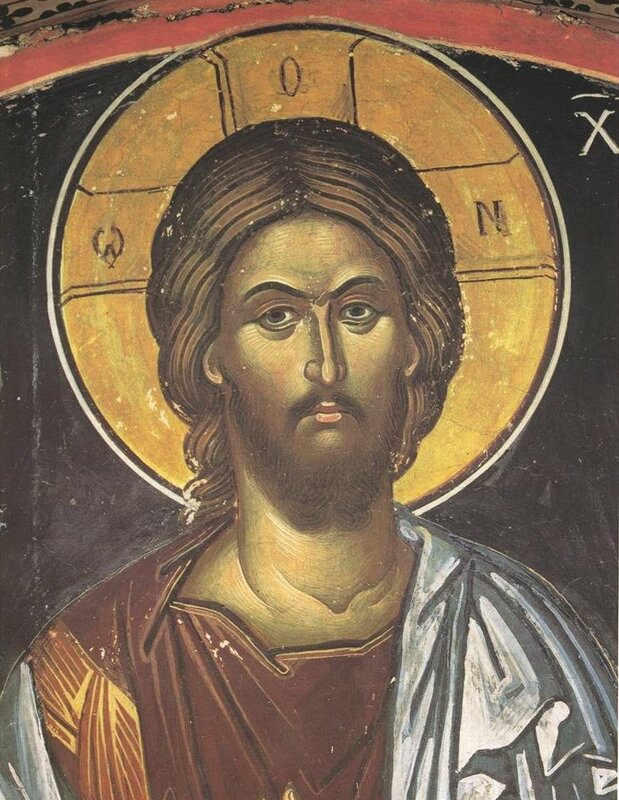 For many Western Christians, icons seem to be the type of art that has been dismissed as insignificant within the worship space and liturgical environment, because of their apparent lack of realism. However, for Orthodox Christians the icon has played a significant role within the liturgy and its theology, since the sixth century. The order of iconography and its role and composition is said to grow out of the liturgical experience of the church, as did other forms of sacred art. The knowledge of the content of iconography is the knowledge of the purpose for which its art has been consecrated. Without this purpose in mind, it becomes impossible to evaluate the character and the fundamental significance of this sacred art. Therefore, is eastern iconography liturgical art? In response to this I will attempt in this article to consider iconography from three perspectives: the iconographic programme, the icon as liturgy and the icon as prayer. In order for one to understand the spiritual significance of icons within the liturgical sphere, one must firstly come to terms with its expression of iconographic programming within the Orthodox temple. 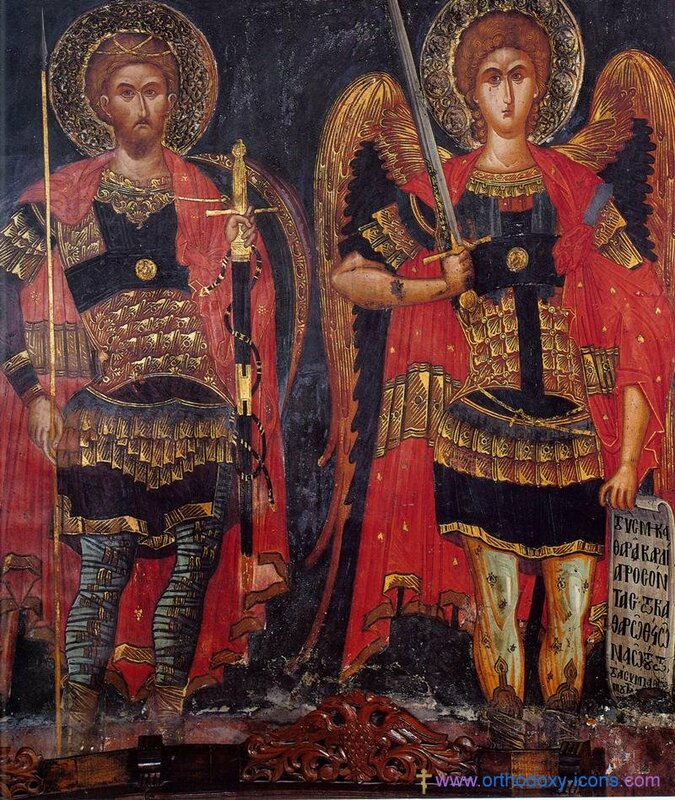 The Byzantine iconographic programme obtains its unity, primarily from a particular understanding of the nature, purpose and spiritual meaning of the Christian temple, while in turn, this understanding flows from Orthodox theology and liturgy. 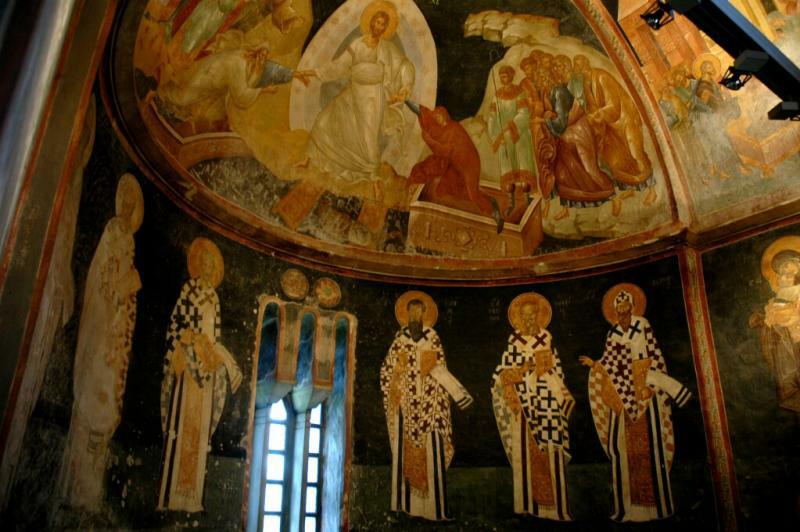 By the end of the ninth century the arrangement of church iconographic programs began to follow a common scheme. 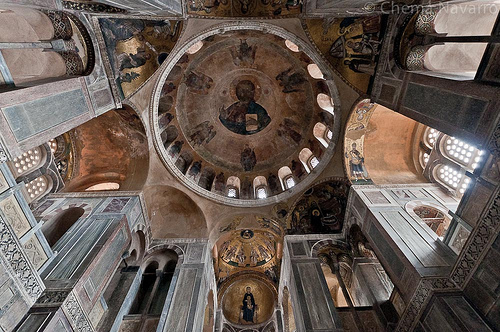 Within a Byzantine temple the top part of the dome which is located at the centre, depicts the figure of Christ, Pantocrator the Lord of the universe. 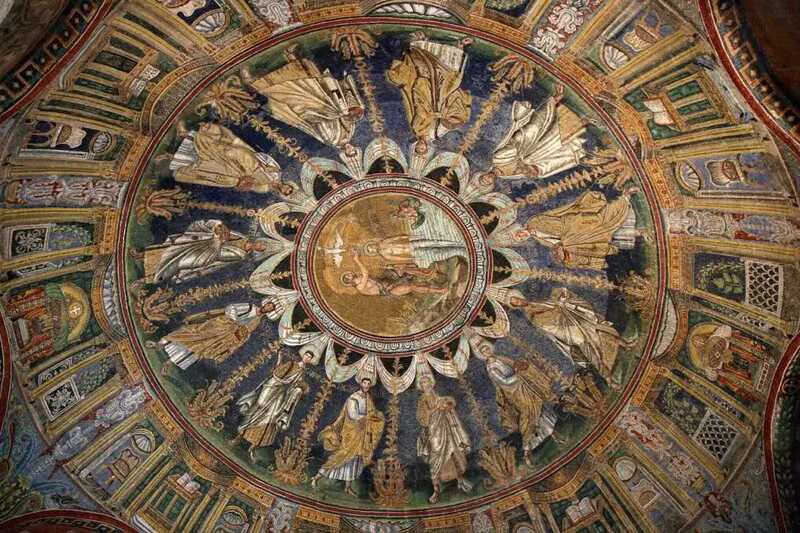 Beneath him in the drum of the dome are the prophets and beneath them in the pendentives, are the figures of the four evangelists. 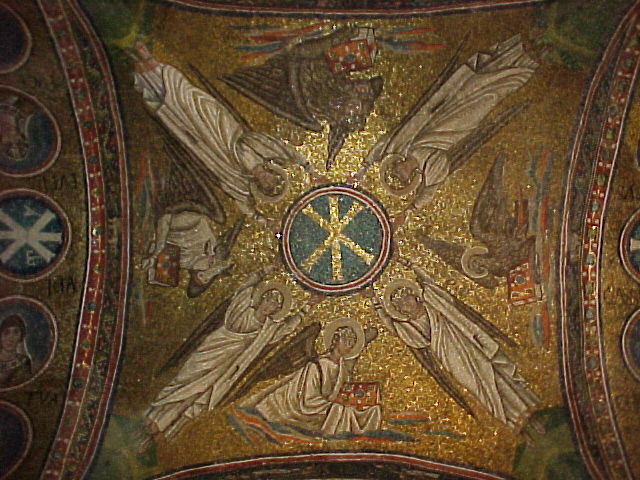 In the vaults of the church roof, the twelve major feasts are represented and beneath these come scenes from the gospels illustrating Christ’s life and ministry. Within the sanctuary the icons represent another consistent range of themes such as the Divine Liturgy with Christ giving the sacred elements to the apostles. 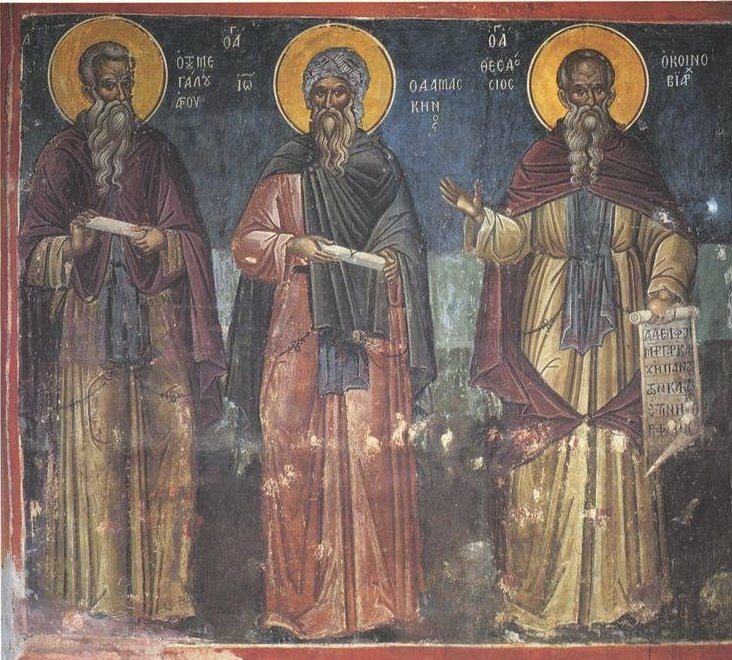 Beneath this are the great Cappadocian fathers of the church, Basil the great, Gregory of Nazianzus, John Chrysostom and Athanasius shown as participating in the celebration of the liturgy. 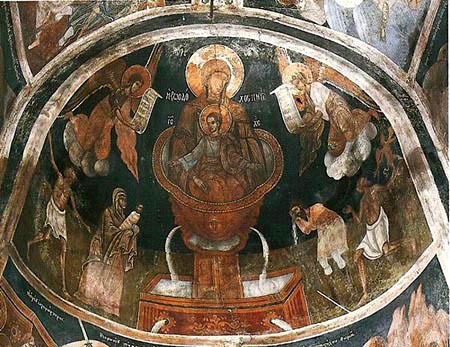 Over the apse, the Mother of God is represented with her arms held out in prayer and reverence and with the figure of Christ against her chest, or else enthroned and holding the incarnate Son. 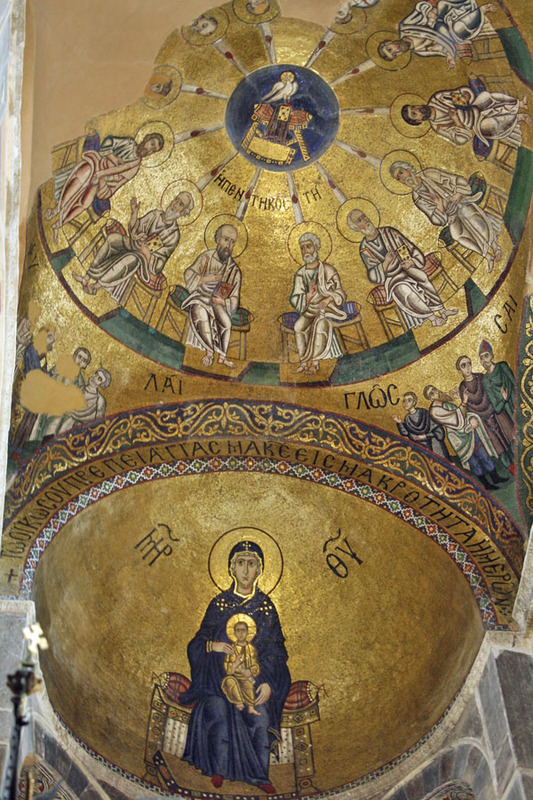 This type of iconography of the Mother of God forms a link between the roof and the lower walls of the apse, symbolising the role of the Theotokos in linking heaven and earth in the incarnation. The main iconography depicted on the royal doors in the centre is the annunciation. The iconostasis or icon screen which marks off the sanctuary from the main body of the church, symbolizes the integrating of earthly worshippers with the whole company of heaven. 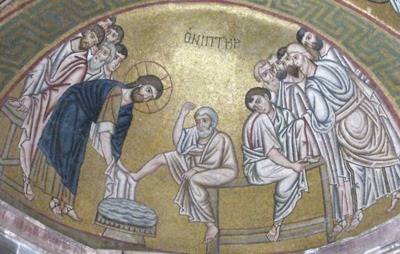 In his/her encounter with the icons of patriarchs, the prophets, the apostles and the saints and in the harmony of his/her celebration of the Eucharist and doxology in the liturgical symphony, the believer enjoys a unique and wonderful experience similar to that of an embryo, when still in its mother’s womb it experiences a foretaste of its life to come in the real world. Thus, it is clear that the traditional church temple with its iconographic programme is a very powerful aid to liturgical worship. In view of the significance of the icon as an iconographic programme, we can now proceed to a more spiritual description of the role of the icon in a liturgical life. In contrast to the liturgy of the Roman Catholic Church, icons are necessary to the practice of the liturgy in the Eastern Church. For this reason, within the Orthodox temple, icons have never ceased to be an educational aid, because of this general and deep didactic significance of the icon, the Orthodox Church holds the iconographic decoration of places of worship to be necessary and beneficial. 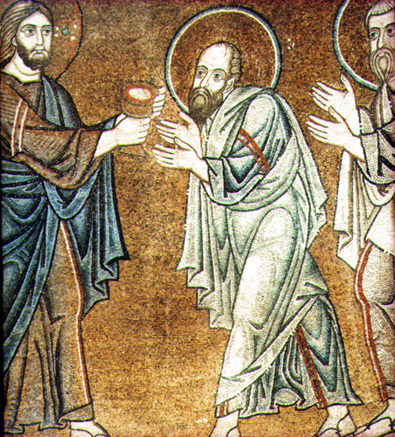 The icon belongs to the esse or essential being of the temple; it’s a vital part of the general order of human activity within the temple that serves to express Christian revelation. 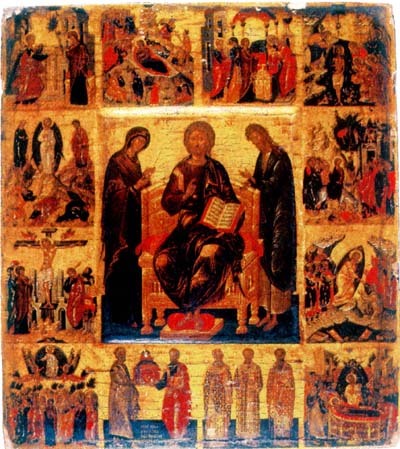 The presence of Christ, the Theotokos and the saints in the liturgical life of the church is indicated among other ways by their icons, since an icon according to the classic definition by John of Damascus: ‘icons are a likeness (ομοίωμα) …which shows something that has been portrayed therein. 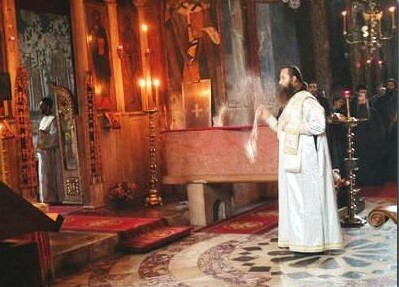 For Eastern Orthodox Christians a liturgy without icons would be tantamount to separating the church on earth from the church in heaven, a denial of the very work of Christ that the liturgy celebrates. The church teaches that the icon shows its iconographic function in the liturgy itself, it is visualization, an imaged representation of the world economy of salvation. 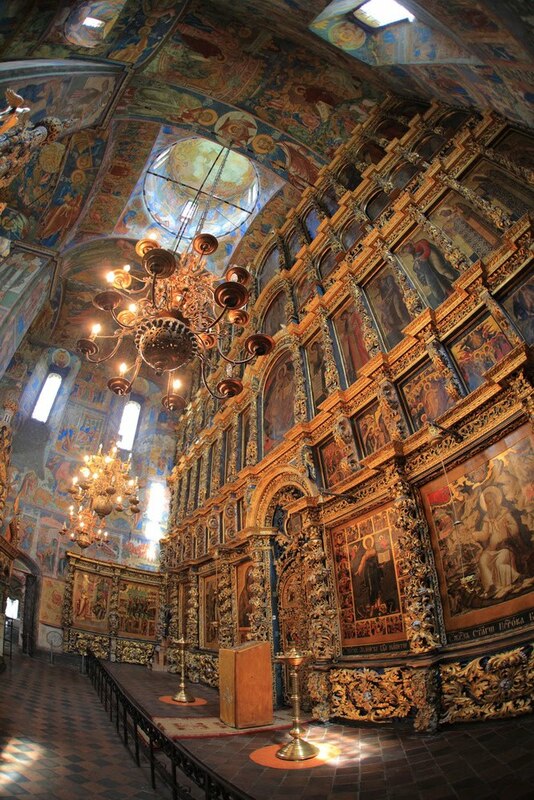 The icons and the frescoes of an Eastern Orthodox temple create a powerful sense that here in the temple and its liturgy is the point where Christians may experience the glory of God and receive the fullness of divine grace. 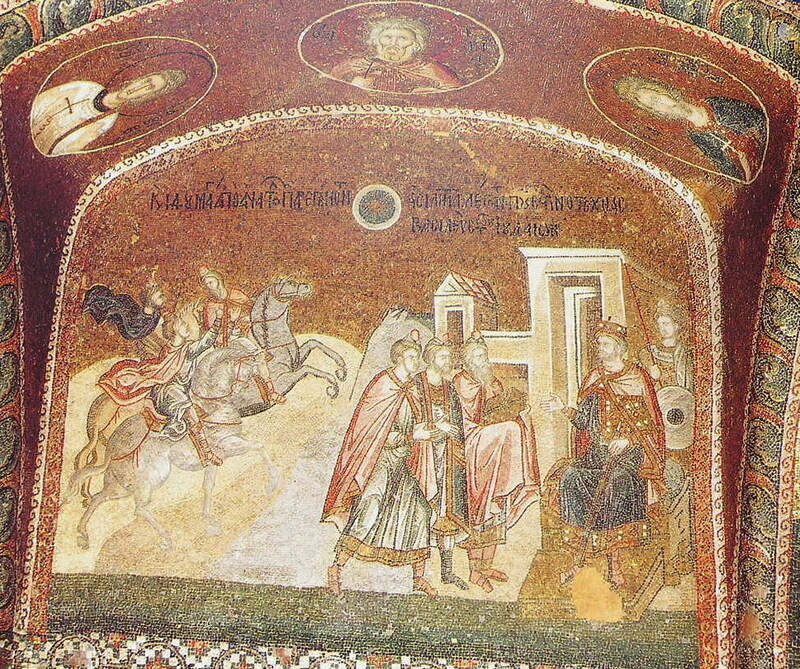 Iconography plays a crucial role in the Byzantine liturgy as it forms a matrix for the entire service. Within the liturgy there are many times when the priest or deacon would turn in front of the icons with reverence, either reciting hymns or reading prayers. 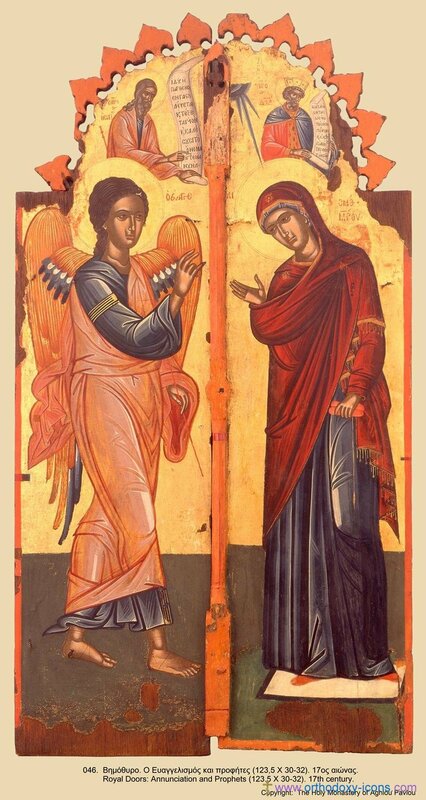 During the first antiphon the deacon is instructed to stand in front of the icon of the Lord, while during the second he stands in front of the Theotokos icon. During the prayer behind the ambo the deacon again stands in front of the icon of the Lord, pointing to it as the priest reads the oration. During many other occasions throughout the liturgy the priest or deacon would censor first and foremost in front of the iconostasis and then censor around the inside of the temple. In fact there is one main instance which is actually the focal point of the censing being at the Magnificat of the Orthros, when the censing begins in front of the main icon of the Theotokos, as the deacon pronounces the exclamation: ‘let us magnify in hymns the Theotokos and Mother of Light.’ For this reason during all censing throughout the liturgy icons receive special attention. Icons are frequently carried by the priest during processions such as that of holy week or the great blessing of waters during Theophany. 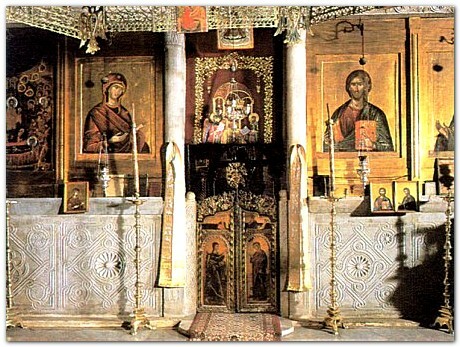 At the former service the faithful venerate the icon after each service whether it is in the morning or evening. 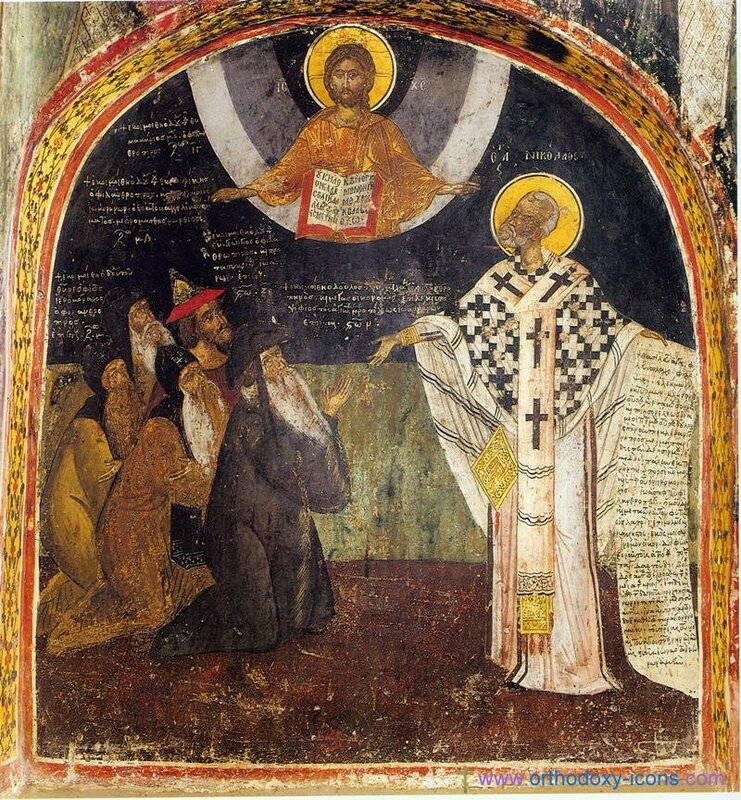 Therefore, in its universal aspect as a category of participation in the reality of salvation and not simply as a religious object, the icon presents the key for an in depth examination of the mystery of the oikonomia, especially where Orthodox theology is concerned. 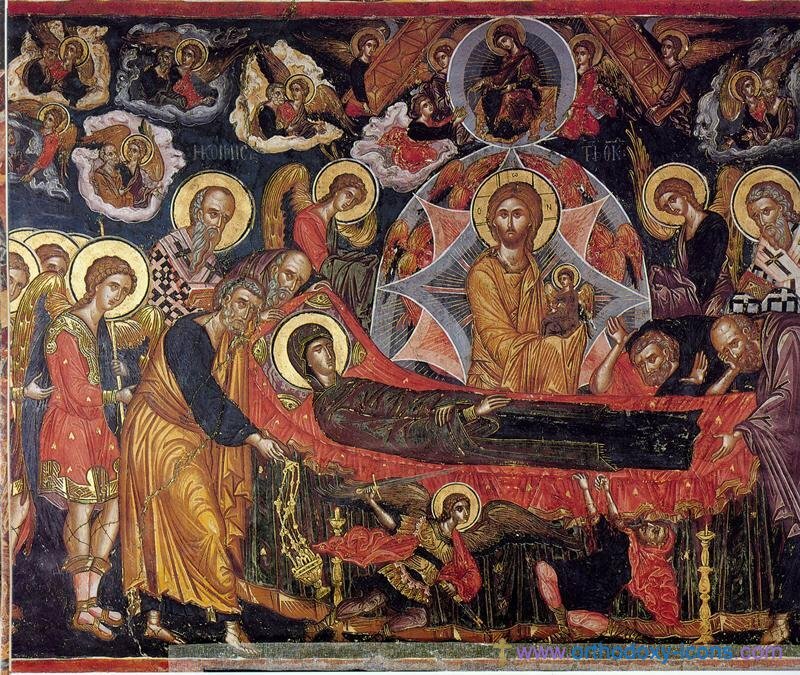 Because the mystery of the oikonomia can be experienced in liturgical life, the icon is connected with the liturgy in the closest possible way and through the use of iconography, liturgical life achieves fulfilment. Obviously, iconography within the liturgy is not indiscriminately represented like articles in a museum as mentioned previously. 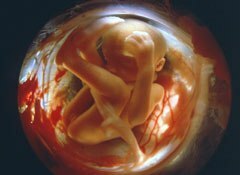 They are rather members of a body, they exist in and through a single vision of the Christian life, they are integrated into the liturgical mystery. This is in fact their essential characteristic, and the icon can never be understood outside of this integrated environment. 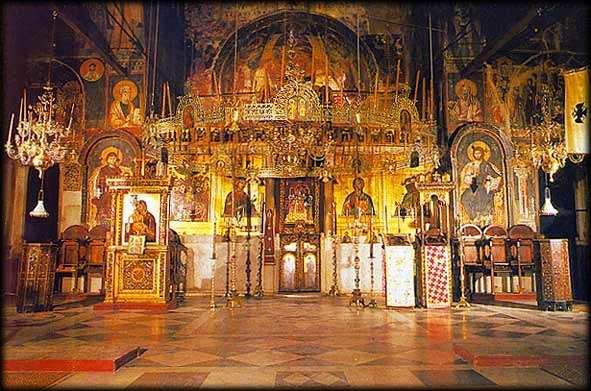 As mediators of divine reality, iconography represents focal points of prayer in the Orthodox temple. In its liturgical function prayerful contemplation passes through the icon and does not stop until it reaches the living content. Even in the homes of the faithful the icon maintains its liturgical identity. Through the icon, a neutral dwelling place becomes a domestic church and the life of a Christian becomes one of prayer, a continuous interiorized liturgy. On entering a house in the Eastern tradition, visitors first bow in front of the icon, placing themselves in God’s visual presence and then greet the members of the household. The icon is made for the faithful, in its coded language the icon speaks to us in the same way a parent would talk to their child. The icon is never simply a decoration; it is the still point that centres the whole household to the brilliant shining forth of the Divine. The Virgin today giveth birth unto Him who is above being and the earth offers a cave to Him who is unapproachable, angels together with shephards sing hymns of praise and magi following the star proceed in their journey, for there was born for our sake a new child, the eternal God. This hymn clearly presents what is depicted in the nativity icon along with the emphasis pertaining to the divinity of the Saviour, by stating at the beginning that He was born of a Virgin and closing with the assertion that He is the God who existed before all ages. 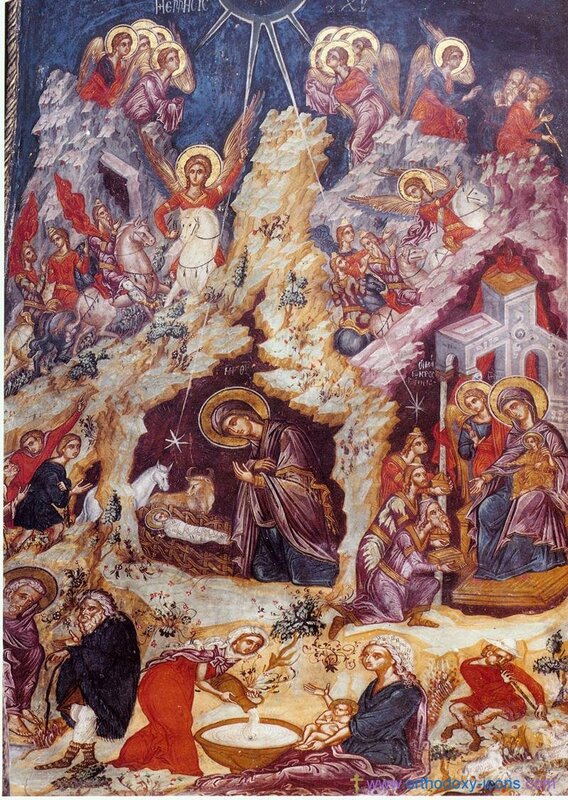 Thus, from the hymn of the kontakion and the icon of the nativity we learn that God the Logos became incarnate and the particular circumstances pertaining to His birth. 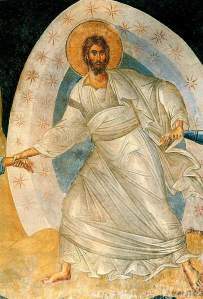 The apolytikoin clearly indicates to us all that the icon depicts in its fullness, hence being called Theophany (θεόφανη) because through the voice of the Father that was heard and the appearance of the Holy Spirit above Jesus as a dove, there was the manifestation of the divinity of Jesus and attention was called to the mystery of the Trinity. It is this paper’s claim that the iconography within the liturgical framework reveals the presence of the ‘all holy’ that is unfolded through the celebrated liturgy. This is fundamentally the significance of the word ‘icon’, for it is distinctive from a narrative or illustrative work; it reveals a presence. Liturgical art finds its origin and essence in the liturgy itself. Iconography engages the faithful in a contemplative manner, which invites the faithful to enter into a reality to where the ‘holy’ dwells. Iconography goes beyond decorative and even catechetical purposes, for its primary function as we have seen is to coalesce with the liturgy, its ritual and architecture, so as to engage the assembly as fully as possible in the divine mysteries that are revealed through these elements as a whole. As an essential element of worship, iconography is a witness to the unity of the earthly and the heavenly church, a unity realized in and through Orthodox worship, thus Eastern iconography is considered to be liturgical art par excellence. Baggley, John. Doors of Perception: Icons and their Spiritual Significance. Crestwood,NY: SVS Press, 1988. 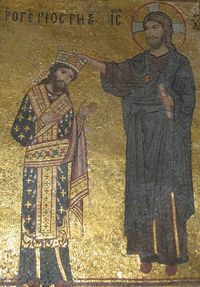 Cavarnos, Constantine. ‘Knowing God Through Icons’. Greek Orthodox Theological Review 23 (1978): 282-298. Clendenin, Daniel. Eastern Orthodox Theology: a Contemporary Reader.Grand Rapids,MI: Baker Book House, 1995. Evdokimov, Paul. The Art of the Icon: A Theology of Beauty. Redondo Beach,CA: Oakwood Publications, 1990. Freeland, Guy. 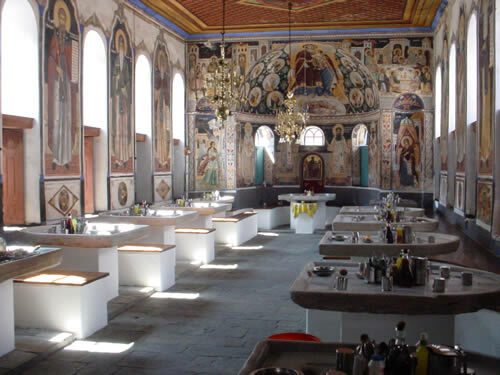 ‘Time, Archetecture and the Byzantine Iconographic Programme,’. Phronema 4 (1989): 75-86. Galadza,Peter. ‘The Role of Icons in Byzantine Worship,’ Studia Liturgica 21 (1991): 113-135. 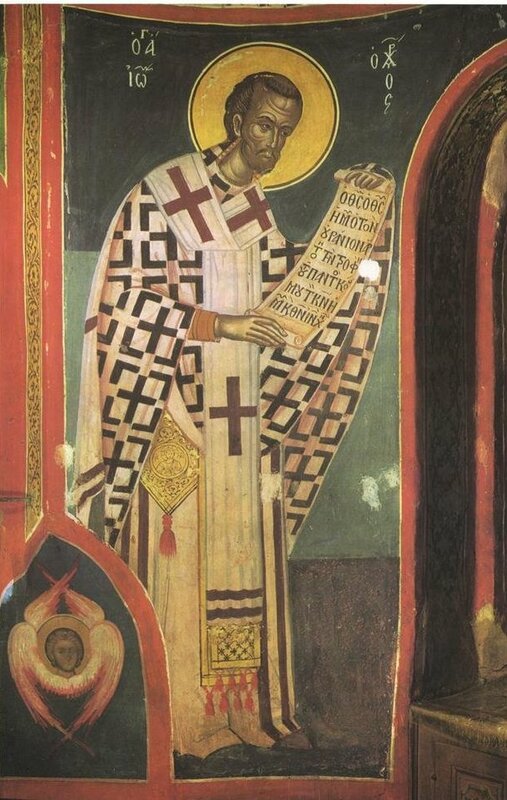 Nikolaou, Theodore. ‘Place of the Icon in the Liturgical Life,’. Greek Orthodox Theological Review 35 (1990): 317-332. Migne, JP. Patrologia Greaca. Cursus Complitus, Series Greaca. Vol 94.Athens, 1993. The festal menaion, trans. Mother Mary and Kallistos Ware.London: Faber and Faber, 1969. Wybrew, Hugh. 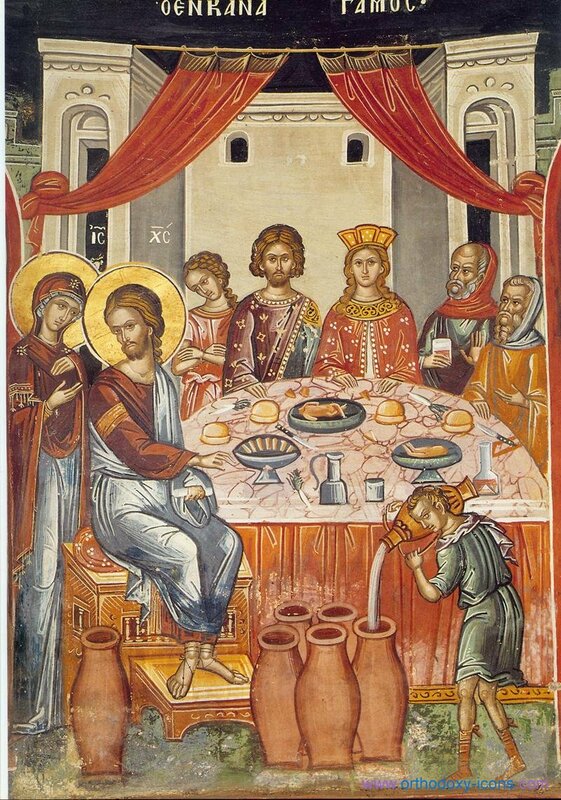 The Orthodox Liturgy: The Development of the Eucharistic Liturgy in the Byzantine Rite. London: SPCK, 1989. Constantine Cavarnos, ‘Knowing God Through Icons,’ Greek Orthodox Theological Review 23 (1978): 295. This diagram is only a general layout of a byzantine iconographic programme and is not what is explained in this paper. Guy Freeland, ‘Time, Architecture and the Byzantine Iconographic Programme,’ Phronema 4 (1989): 76. Constantine Kalokyris, the Essence of Orthodox Iconography (Brookline,MA: Holy Cross Orthodox Press, 19–) , 21. Theodore Nikolaou, ‘Place of the Icon in the Liturgical Life,’ Greek Orthodox Theological Review 35 (1990): 331. Daniel Clendenin, Eastern Orthodox Theology: a Contemporary Reader (Grand Rapids, MI: Baker Book House, 1995), 62. Peter Galadza, ‘The Role of Icons in Byzantine Worship,’ Studia Liturgica 21 (1991): 115. The festal menaion, trans. Mother Mary and Kallistos Ware (London: Faber and Faber, 1969), 277.